Continuing HART’s World Refugee Day blog series, Jamie Osborn examines a recent European Court of Human Rights (ECHR) ruling on the case of an Armenian refugee from Nagorno-Karabakh and its implications for refugee rights, preventing discrimination, and conflict resolution. To read other blog posts in the series, please click here. 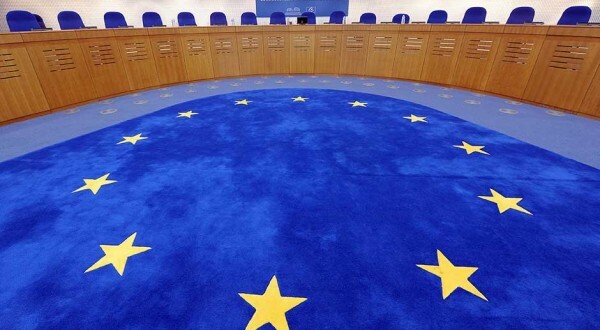 “The Government of Azerbaijan had failed to explain how the legislation on the protection of property would apply in the situation of an Armenian refugee who wished to claim restitution or compensation for the loss of property left behind in the context of the conflict.” This was one of the conclusions of the ECHR on the case of Sargsyan v. Azerbaijan, delivered on 16 June (all quotes from ECHR press release of 16/06/15). Minas Sargsyan was an Armenian refugee from Nagorno-Karabakh who had been forced to flee his home with his family in 1992 as a result of the conflict between Azerbaijani and Armenia over Nagorno-Karabakh. In 2006, he complained to the ECHR that the Azerbaijani Government had violated his rights to protection of property, to a family life, to an effective remedy to the losses he had suffered and – perhaps most tellingly – that the Azerbaijani Government had discriminated against him as an Armenian. Mr Sargsyan died in 2009, but his family continued the case, and the ECHR’s decision could now have implications for the treatment of refugees who are trying to return to normal life while governments like that of Azerbaijan fail to resolve conflict. Mr Sargsyan and his family were among 71,000 Armenians – nearly half the Armenian population as of 1989 levels – displaced by the conflict in Nagorno-Karabakh. Nagorno-Karabakh, a region where Armenians form an overwhelming majority, had been given to Azerbaijan by Stalin, but at the break-up of the Soviet Union conflict broke out between Armenia and Azerbaijan over the territory. The conflict included the attempted ethnic cleansing of the Armenian population. In 1994, a ceasefire was brokered, which has held shakily, with frequent violations, but talks for a formal and effective peace treaty are still ongoing and have so far reached no resolution. Meanwhile, civilians and those affected by the conflict have been attempting to obtain redress for the harm that they suffered. Sargsyan v. Azerbaijan, and a corresponding case, Chiragov and others v. Armenia, are the first of 1000 cases concerning individuals’ rights with regard to the conflict to reach a ruling from the ECHR. Mr Sargsyan claimed that “the denial by the Azerbaijani Government of his right to return to the village of Gulistan and to have access to, control, use and enjoy his property or to be compensated for its loss amounted to a continuing violation of Article 1 of Protocol No. 1 (protection of property) to the European Convention on Human Rights.” As evidence that he had held a home in Gulistan, he submitted photographs of his house and written statements from his former neighbours supporting him. He further claimed that the denial of access to Gulistan, his family home and the place where his parents were buried violated his right to a private and family life, Article 8 of the European Convention on Human Rights. The British right-wing media have made much of mocking Article 8 (incorporated into British law under the Human Rights Act), but for people whose lives have been so badly damaged by conflict, it is more than understandable that the need for a secure, unviolated private and family life should constitute an essential human right. Most of us in the UK cannot imagine what it must be like to lose one’s home in an instant, and never be able to return, but for millions of refugees – not only in Nagorno-Karabakh but worldwide – it is a pressing reality. Defending their right to either return to their homes or to access an “effective remedy” for their loss is therefore a priority. The right to an effective remedy is Article 13 of the Convention, and it was largely on the Azerbaijani Government’s failure to respect this right that Sargsyan won the case. The ECHR identified “the State’s failure to create a mechanism which would allow him to have his rights in respect of property and home restored and to obtain compensation for the losses suffered.” The ECHR had acknowledged Azerbaijan’s argument that since Gulistan was located in an area of military activity, it would be dangerous for civilians, including Mr Sargsyan, to return, and therefore denying access to the area could be justified. But the Azerbaijani Government did not make any provisions to help to compensate Mr Sarsyan, and failed adequately to assist him in legal processes. “What was called for was a property claims mechanism which would be easily accessible to allow Mr Sargsyan and others in his situation to have their property rights restored and to obtain compensation,” the ECHR concluded. Having “easily accessible” means to legal processes is essential if the most vulnerable are to be able to defend their rights – and who more vulnerable, and who more in need of protection, than refugees? The ECHR ruling is therefore important in upholding the principle that states should help citizens to access and defend their legal rights. But of particular relevance in this case – and in regard to Nagorno-Karabakh and to other conflicts in which one ethnic population is set against another – was Sargsyan’s final complaint that Article 14 of the Convention had been violated. Article 14 prohibits discrimination. Sargsyan claimed – and the ECHR agreed – that he had been discriminated against by Azerbaijan as an Armenian. The Azerbaijani Government provided no evidence as to how their own legislation was to apply to Armenians to whom they had legal responsibilities. Effectively, Azerbaijan’s stance denied Sargsyan legal rights because he was an Armenian. This is perhaps no surprise, as conflict between Azerbaijan and Armenia still simmers, and there have been many cases of Azeri maltreatment of Armenians. Minority Rights Group International reports that in Azerbaijan and Azerbaijani-controlled areas, “Hate-speech against Armenians continues to be a staple of officially sanctioned media, while peace-building initiatives involving civil society actors are regularly vilified, and sometimes result in physical assaults on the property and persons of those involved.” Such discrimination is actively obstructing the peace-process and is a demonstration of the ways in which Azerbaijan is not only failing to care for refugees, but contributing to perpetuation of the conflict. The ECHR was careful to avoid anything that might have been seen as intervention in the peace process. But what is significant is that the ECHR told Azerbaijan that it must look after the claims of refugees no matter what the state of the peace negotiations: “the fact that peace negotiations were ongoing did not free the [Azerbaijani] Government from their duty to take other measures” to help refugees like Mr Sargsyan, it concluded. Mr Sarsyan, like so many refugees around the world, was an individual who wanted to return to his family home. The lesson of the ECHR ruling must surely be that those like Mr Sargsyan must be respected as individuals, and that discrimination against them, because of ethnic origin or for any other reason, must be prevented. There are three priorities when dealing with the legal claims of refugees like Mr Sargsyan. First of all, they must be protected and helped all the more because of their vulnerability as refugees. Second, they must not be discriminated against (and refugees are, almost by definition, all too often exposed to discrimination). Finally, governments cannot abnegate their responsibilities towards refugees and individuals – doing so is not only a violation of refugees’ human rights, but is a continuation of the discrimination that forced them to become refugees in the first place. 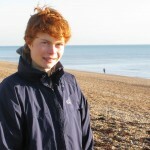 Jamie is currently studying English at Cambridge and is passionate about conflict resolution, refugee rights and the right to education. He is working as a Research and Campaigns Intern at HART, with a special focus on Nagorno-Karabakh and Burma.